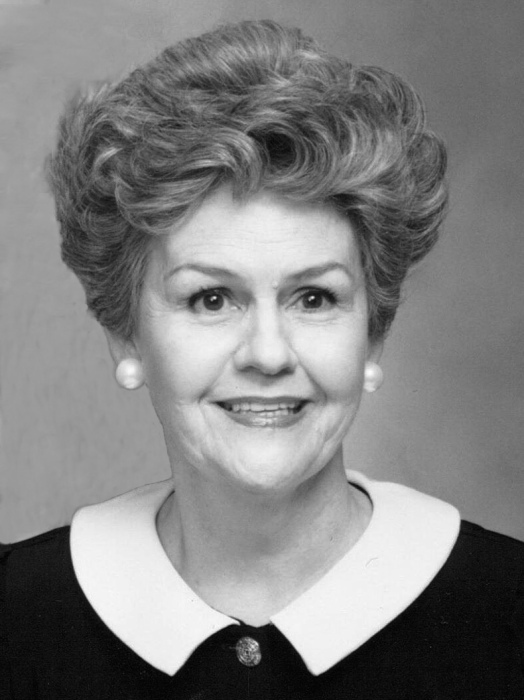 Graveside services for Anne Edmunds McMaster, age 85, will be conducted on Saturday, April 6, 2019, at 1:00 p.m. in the First United Methodist Cemetery, Washington Street, Winnsboro, South Carolina. The family will receive friends at Pope Funeral Home, 521 South Congress Street in Winnsboro, on Friday evening, April 5, from 6:00 to 8:00 p.m. and at the fellowship hall of First United Methodist Church, 109 West College Street, Winnsboro, South Carolina, on Saturday following the graveside services. Mrs. McMaster, widow of Fitz-John Creighton McMaster, died April 1, 2019. She was a loving and devoted wife, mother and grandmother. Born on January 3, 1934, in Ridgeway, South Carolina, Mrs. McMaster was the daughter of the late William Clarence Edmunds and Esther Ashe Edmunds. She was a graduate of Stuart Hall School in Staunton, Virginia, and attended Converse College and the University of South Carolina where she was a member of Delta Delta Delta sorority. Mrs. McMaster was a member of First United Methodist Church in Winnsboro, where she served in many capacities. Her community activities included membership in the Winnsboro Music Study Group, Anemone Garden Club, Winnsboro Cotillion Club, and the Quadrille Club of Columbia. She formerly served on the Board of Trustees of Richard Winn Academy, the Board of the South Carolina State Museum Foundation, the Olde English District Tourism Committee and the South Carolina Mother of the Year Selection Committee. A lifelong and steadfast Gamecock fan, she was the embodiment of a true Southern lady and will be remembered for her gracious demeanor and devotion to her family. She is survived by her two daughters, Sally McMaster Nash (Eddie) of Blythewood and Esther McMaster Andrew of Atlanta; her son, William “Bill” Spencer McMaster (Adelaide Cox) of Columbia; her brother, Thomas Bryant Edmunds, Sr. (Lucy Shand) of Columbia; her three grandchildren, Creighton Cox McMaster of Atlanta, Ashleigh Adelaide McMaster of New York City, and Sally Anne McMaster Andrew of Atlanta; her nieces, Pride Edmunds Owens (Tim), Juliana Edmunds King (Robert) of Columbia, and Mary Frances Curlee of Lexington; her nephew, Dr. Thomas Bryant Edmunds, Jr. of Columbia; and numerous great nieces and nephews. Memorials may be made to First United Methodist Church, 109 West College Street, Winnsboro, SC 29180. Pope Funeral Home is assisting the McMaster family.